Indigo Moon, Inc. owners and operators are Kris Moody and Ellen Willis. 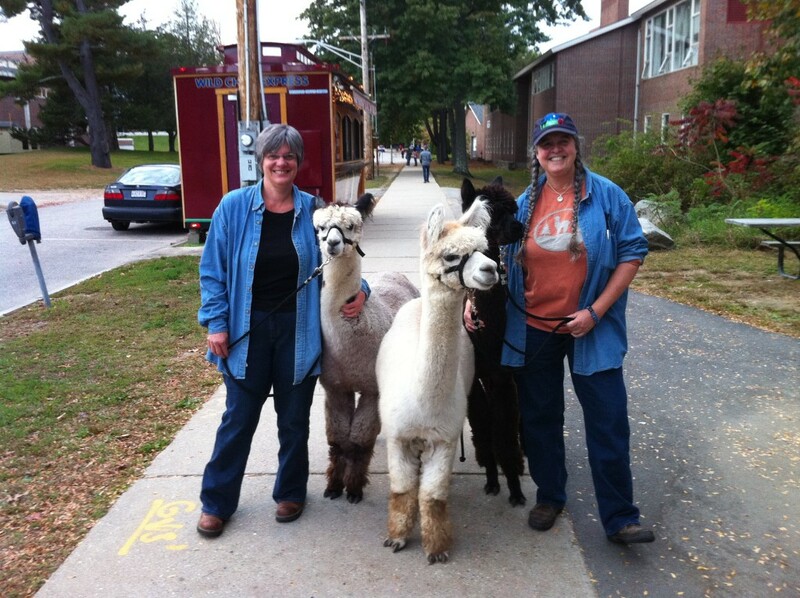 Ellen and Kris and some friendly alpacas! Ellen Willis has loved horses all her life, and has always felt the profound impact that a horse can have on the human spirit. Now with the creation of Indigo Moon Farm, Ellen can share with others the comfort of healing, as well as the exhilaration of growth that horses can bring to people. Ellen holds several degrees and certifications, and has a broad range of experience that perfectly suits her for providing Indigo Moon services. Ellen has a BS in psychology from Eastern Kentucky University, and a MA in liberal studies from North Carolina State University. Go Wolfpack! She is a certified Special Education teacher in the Rochester NH school District. Ellen is a Middle School Special Education Teacher and Certified in the WILSON Language program. Currently, Ellen is working on a Master of Science in Mental Health Counseling at Southern New Hampshire University. She and Kris both practice Natural Horsemanship with their horses, and extend the methodology to the alpacas as well. 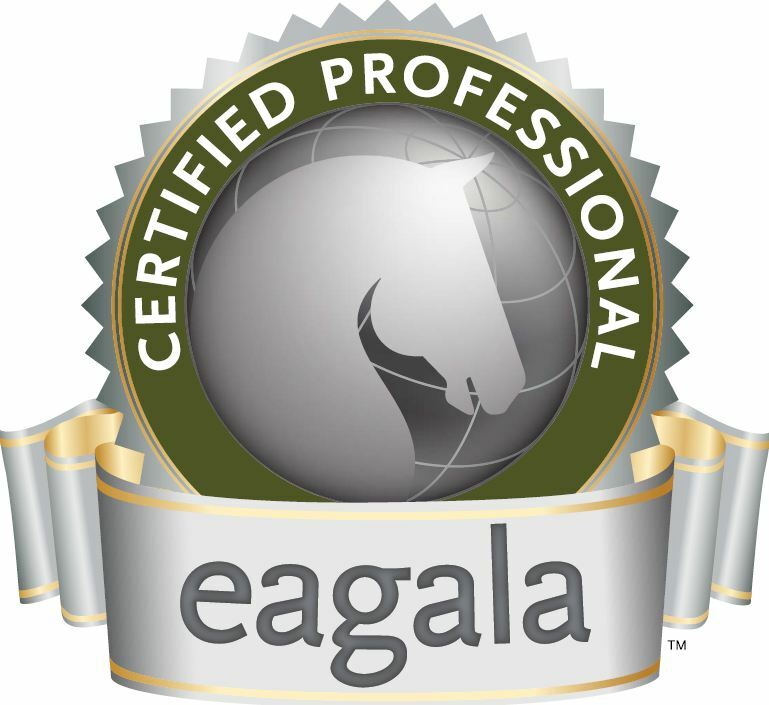 Ellen is an equine specialist, and is certified by EAGALA in equine assisted growth and learning. She is currently serving as the NH EAGALA Network Coordinator. 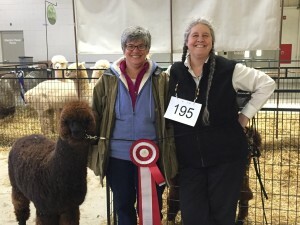 During the School year Ellen offers Equine and Alpaca Assisted Learning programs and works with a licensed Mental Health professional to provide EAGALA services at Indigo Moon Farm. Indigo Moon Farm grew out of what Kris and Ellen like to refer to as their “brilliant dream” – not brilliant meaning brainy, but brilliant meaning in terms of brightness and beauty. After owning and boarding horses for several years, thoughts and ideas started to find their way into conversations about dreams for our future. There were a few things we wanted in our lives – to have our horses at home, to become more deeply connected to the local sustainable farming community, and to share our experience of the therapeutic power of horses with others who might benefit from it. We kept our eyes open for the right piece of property to come along, putting our faith in the universe that if it was meant to happen, somehow it would. When we found this farm, we knew it was happening. And once on the farm, we began to feel the special power it held. There is peace and serenity around us, the soil is good, the animals are peaceful and content, and all who come to visit feel that special something. This is exactly what we want for this farm. We want the healing nature of the animals to fill human hearts, and we want the fertility of the soil to sustain us and others. We named the farm Indigo Moon Farm. Indigo as a color is a rich, deep blue used as a popular die color for textiles going back centuries. Indigo on the color spectrum was long considered to be one of the 7 divisions of the rainbow, as first introduce by Isaac Newton. Our blue jeans, worn for work and play, are blue as a result of their indigo dye. And in some spiritual thinking, indigo represents the sixth chakra including the third eye, and relates to intuition and spiritual knowledge. All these things, and our love for those deep blue evening skies just before dark with a full moon rising, have come together on Indigo Moon Farm. We feel the wonder and the enchantment here. 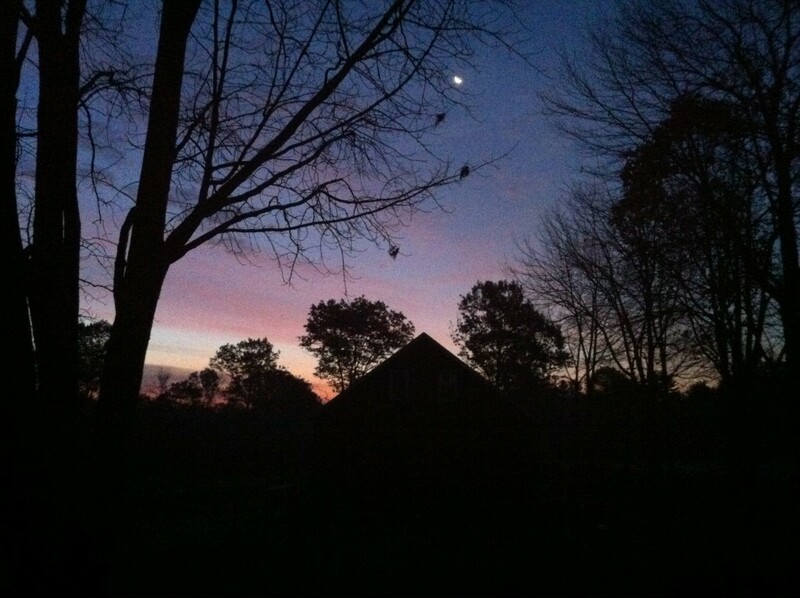 Located in the rolling plain of coastal southeastern New Hampshire, Indigo Moon Farm sits just below the lakes region at the foothills of the White Mountains, within reach of the Atlantic Ocean just to the east. Indigo Moon Farm is home to our fuzzy alpacas and our beautiful horses. Our alpaca herd consists of 14 Huacaya alpacas of Peruvian, Bolivian and Chilean descent, and our three horses are all Tennessee Walking Horse mares. We use the same methods to care for our alpacas and our horses, believing in natural handling and training, and prioritizing attention to a healthy, wholesome diet. Our horses each have distinct personalities, and each connects with people in her own individual way. As part of our equine assisted therapy programs, our horses work with a therapist to help people find health and healing. Our alpacas are bred to always advance the breed, aiming for denser, crimpier, shinier fleece and animals with strong, healthy confirmation. We shear once a year, and the alpaca fleece is processed into roving and yarn, and a variety of handmade products such as hats, scarves, felted soap, etc. Fiber and fiber products are sold at the farm and at fairs and festivals. Some of the alpacas are shown at breeder shows, and high quality alpacas become part of the breeding program. As the herd grows, alpacas are sold, and mentoring services are provided to anyone purchasing animals. Both our alpacas and our horses participate in our therapeutic programs, bringing a sense of joy, accomplishment and healing to all who work with them.